The VR space is crowded by many players – Facebook, Google, HTC. No one knows which headset will become the dominant headset. Irrespective of who succeeds, there is one company that will come up on top – Unity. 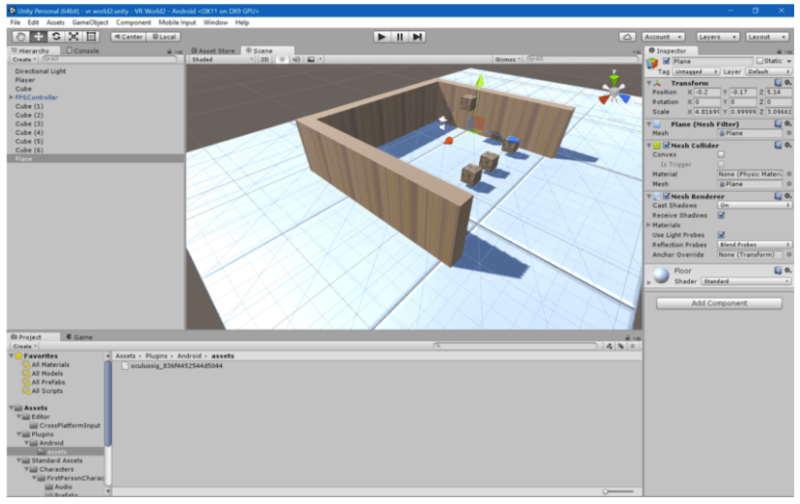 Unity is a game engine – a tool that lets game developers build games for different devices. How is a game engine relevant for VR? It so happens that many elements of a game engine are also useful for VR content creation. A game is typically a 3D environment and the same tools can be used for creating a 3D environment in VR. 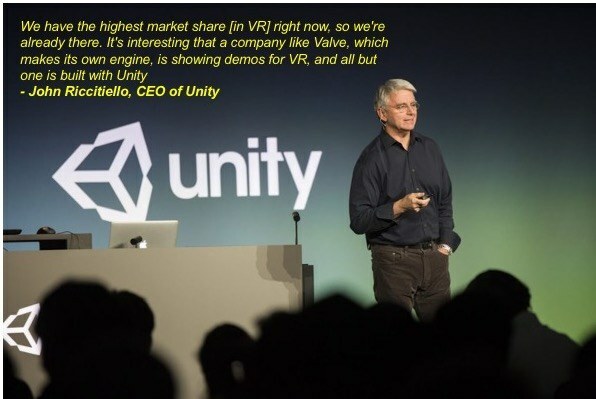 Therefore, Unity has become the largest VR content creation platform in the world. 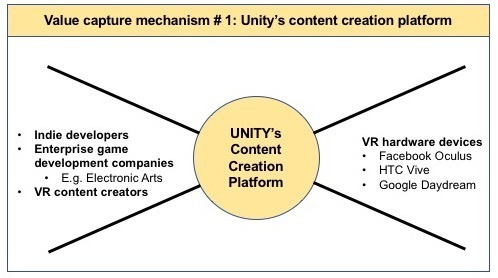 90% of all VR content for Samsung Gear and 85% of content for Oculus has been made using Unity . This has led to a jump in Unity’s valuation; it raised $181Mn in Series C financing in 2016 at a valuation of $1.5Bn . 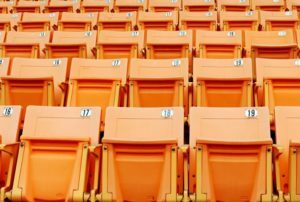 How does Unity create value? Unity is a platform that enables developers to create VR games/content that can then be released onto various VR devices. By providing a platform through which game developers can easily create games: Game creation in Unity is as simple as dragging and dropping elements. For e.g. if one wants to add a football in a VR application, one can easily “drag” a sphere from Unity’s database and “drop” it into the application. Similarly, one can also drag and drop elements like “physics law” into the content so that all objects obey the law of physics like gravitation, Newton’s law of motion etc. How does Unity capture value? Unity uses network effects to capture value. 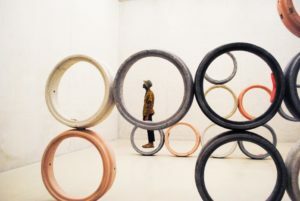 While it captures most value from its main platform (content creation platform), it also has 2 other platforms through which it captures value as well. Unity has more than 1 Million developers on its platform . On the VR device side, it has integrated with all the major devices (Google, Oculus, Sony). As more developers join, more hardware players are incentivized to integrate with Unity and this in turn attracts even more developers. Unity captures value through subscription pricing . It is free for indie developers. This is a strategy to attract game developers when they are inexperienced so that they are loyal to Unity. For more serious developers, Unity charges $35/month/license and for professional setups it charges $125/month/license. Moreover, Unity also works on a customized basis with large clients. For e.g. popular game developer – Electronic Arts – is an enterprise partner of Unity and uses Unity for all its game development . 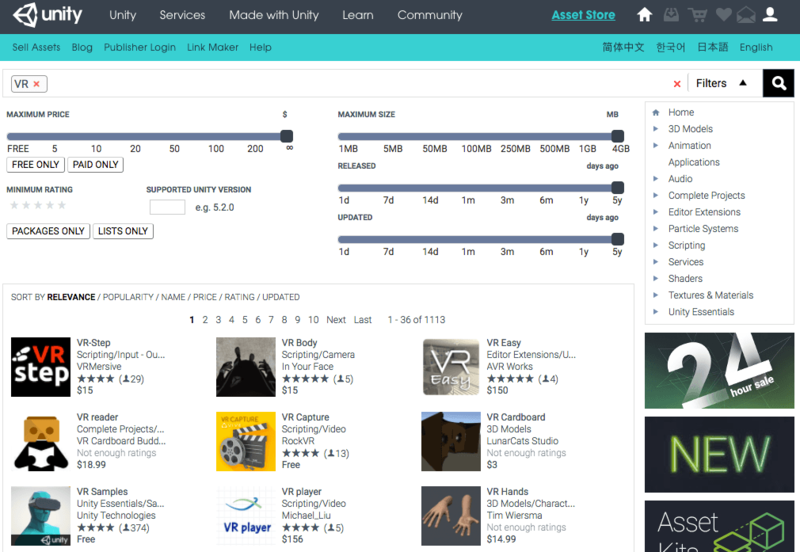 In addition to in-built tools and content elements (like spherical objects, physics element), Unity also has an “app store” of its own called asset store . Many Indie developers produce content and game assets (like characters, background scenery) for other large game developers. Unity takes a 30% share of revenue for these transactions . VR game developers are beginning to monetize their games through ads. Unity gives them the option to integrate Unity’s SDK into their games (which will let Unity serve ads in those VR games). Unity’s ad business has steadily grown to almost $100Mn in annual revenue (this includes both ad revenues from VR devices as well as desktop/mobile). 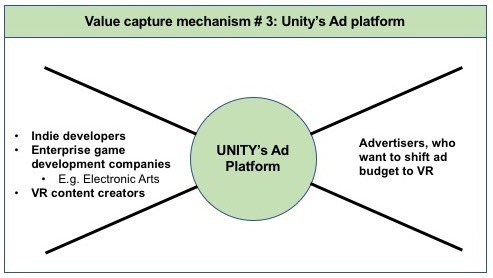 Unity takes a 40% cut on all the ad dollars that it displays through its ad platform. Fascinating post, Bipul. Really like your take on future expansion strategies, particularly the third idea of moving into non-gaming segments. It makes me wonder how media and production companies like Netflix, etc. are thinking about VR and whether Unity should be initiating these conversations now to lock-in these contract early. Thanks for this post, Bipul. I agree with your third point that expansion into non-gaming VR segments could be super lucrative for Unity, especially given their “write once / publish many” engine that allows developers to plug into every platform seamlessly. I wonder what a similar Unity-powered model looks like for original television / film content creators, for example. Thanks a lot Libby! You raise an interesting question about what a Unity-powered model for television/ film content would look like. At a very high level, I feel there are 2 types of film content: original camera footage and CGI generated imagery. I feel that Unity is well poised to move into CGI imagery space given that a lot of capabilities for game development (like animated characters, background images etc.) are very relevant for movies as well. We are seeing an increase in CGI powered movies (Avengers, Avatar, Jurassic World etc.) and I feel that Unity is in a great position to expand its tool to help in the CGI creation for movies like these. Great post! 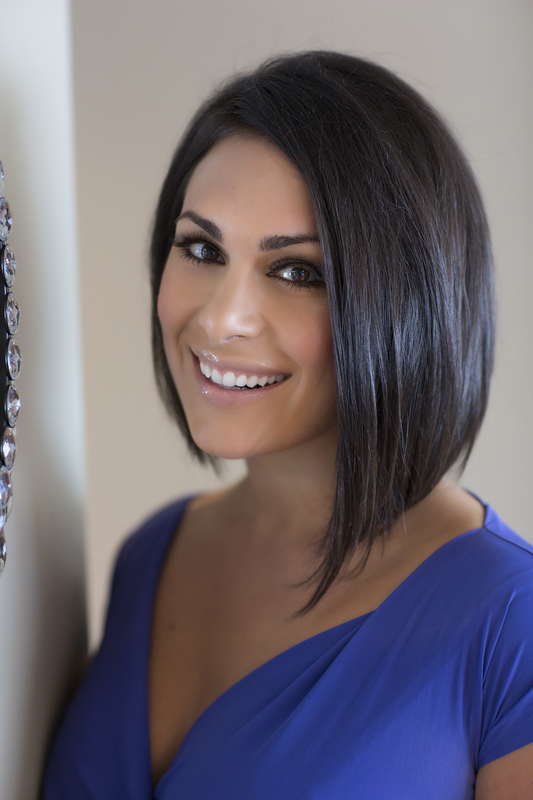 Agreed that moving into B2B could be very attractive. There’s a company called Vuforia (owned by PTC) which is an AR developer platform for enterprise, with a focus on manufacturing and industrial applications. I wonder what real barriers to entry there are to expanding into other applications; do you think Unity has a shot at attracting more enterprise-focused developers onto its platform rather than these indie developers? What do you think a platform has to do to get the right content authors onto its platform? 1. Barriers to entry for the other applications: I think the biggest barrier is the demand for other applications. Gaming is a well established industry with a dedicated fan base and VR immersion is something that aligns well with gaming. Many “VR devices” were introduced earlier in the 1990s and those focused on gaming too [like Nintendo’s Virtual Boy, which was a huge failure]. However, VR’s utility for other segments and applications is not clear. Great post Bipul, thanks for sharing! It is fascinating to see how valuable content creation is, and I do think software, rather than hardware, is the way to grow in AR/VR business. While I agree with your future expansion strategies, I also wonder if it would make sense for them to join (or get acquired by) one of the big HMD players like Microsoft and provide an integrated solution. The industry seems to have too many modular players at a stage when the technology is not fully understood. I think at this stage integrated solution providers might create more value. Bipul, thanks for an awesome post. Never heard of these guys and it seems like they are making waves. What do you believe is the most interesting of the three methods to expand value? It seems these guys are already generating significant revenue, even when VR seems fairly underpenetrated… what do you think it will take for them to maintain their lead as penetration grows? Thanks a lot. I believe that their main content creation platform (value capture mechanism # 1) is the most important method. This is their core product which empowers them to also capture value through mechanism # 2 and 3. Regarding your 2nd question: Unity’s tool was primarily built for games for desktop. I think they might have many legacy features that might not be useful for a VR development environment. Unity also stumbled upon VR by almost accident. Therefore, I think VR focused product development would be a big challenge for them in the future for maintaining the lead. Great post Bipul. I wonder to what is the balance of power between Unity and its game development engine on one side and the HMD / VR Infrastructure platforms on the other side (E.g. HTC Vive, Oculus Rift). If HTC for example manages tor each a large scale and network effects in terms of developer community and content, is it possible that they can ‘close the door’ and move towards a closed eco-system (kind of what Apple did in the PC apple – which by the way did not end very well for Apple)? Hey! I believe that the power lies with content creation platforms or developers. Most VR hardware devices are trying to expand their ecosystem right now rather than closing it because VR is still a nascent technology and consumers do not want to invest $600-800 in buying a VR device if they do not find enough content on that platform. I think a VR hardware player would find it very difficult to attract developers if they close their environment – developers are also looking for platforms where they can build once and deploy multiple times. So developers would prefer an open platform like Unity rather than closed platforms. 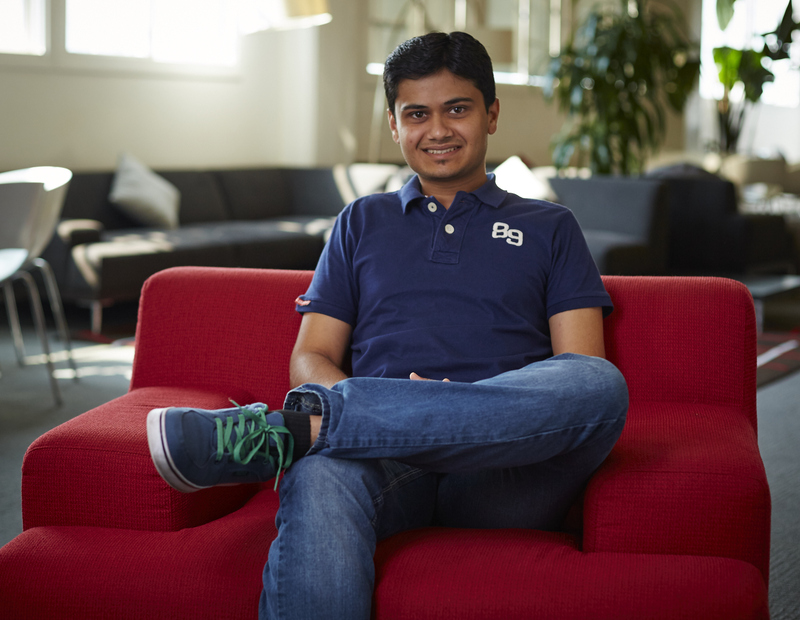 Great post, Bipul! This is a fascinating company – I may go and sign up for a free account just to tinker around. I’m curious how you think the competitive landscape will play out here. Do you think this will be a “winner-take-all” platform, or do you think that other platforms will emerge (for example, platforms that are owned or sponsored by EA, Nintendo, Valve, etc.) and be able to compete effectively? Is it cheap/convenient/sensible for developers on both sides of the platform to multi-home? I would think there would eventually emerge a clearer “tiering” of the market, in which professional VR content developers use more sophisticated tools, have their own community, etc., while the indie ecosystem is left to its own platform. Hi Nicolas. I dont think this would be a winner-take-all platform. Unity is already getting some competition from other VR game engines like Unreal. However, I don’t think that players like EA will enter this space. First, EA already has a contract with Unity in which EA uses Unity for almost all its game development. Second, I think game development companies would like to keep the tools that they develop with themselves rather than share it with competition. Regarding your 2nd question: I do not think that developers will multi-home. Game development is a complicated process with many moving parts and developers have to invest a lot in understanding the nuances of a particular platform. Therefore, I do not think that they will quickly move to other platforms. A corollary of this is the programming languages: For e.g. most developers stick to a single programming language like Java or C++ rather than using multiple languages. VR is definitely the next trend and the entire technology industry is moving towards providing a platform as a service. Adoption will be key and time will tell regarding how a player like unity will compete with facebook who is also making a big investment in the VR space. Great share and write up. Great Post, Bipul! I was wondering who are their competitors and is scale the main edge that they have over others? Also, do you think this platform would go the WordPress route on which most internet websites are built? Thanks Anish. Scale is def. important for Unity. However, we should not forget that Unity is actually a pretty old company (founded in 2004). It has built a lot of expertise on game development over this period and has continuously tweaked and improved its platform. I do think that Unity can go on the route of WordPress. However, that will depend on how the industry evolves. WordPress had it easy because a single internet/web protocol emerged (HTML), which is used by all browsers (chrome, firefox). Therefore, WordPress did not have to invent tools that could modify pages to render properly on different browsers. Given the nascency of VR, this standard does not exist and very similar to how the smartphone industry has matured (where 2 competing protocols or OS has emerged – iOS and Android), the VR ecosystem can lead to multiple protocols (maybe a protocol led by Facebook and another led by Google). In that scenario, Unity might be able to dominate one protocol but specialized players might come up to dominate the other protocol. Nice post Bipul! It’s interesting to know that Unity as a startup has experimented many different value capture models. I wonder which one among them is the major source of revenue for Unity, and if there is any internal tension in business development for different models? 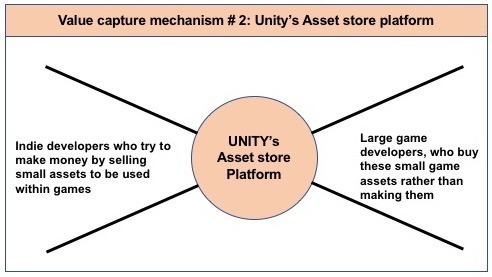 Also, it would be interesting to know how Unity’s value creation and capture model differs from its competitor so that it became the share leader, or maybe in this tech sphere really what matters is the quality of platform?